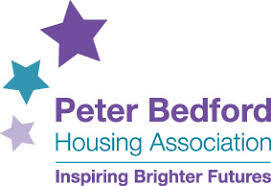 Unite members at the small north east London supported housing organisation Peter Bedford Housing Association (PBHA) have agreed a pay deal which links them to the nationally agreed local government scales. This means they should in future recieve the same increases that local government workers negotiate through the National Joint Council (NJC). This is a common practice within social housing, particularly where a significant proportion of the organisations income is grant funding. This often seen as favourable for members becuase it gives a degree of assurance as to future increases. The rate for specific roles can be negotiated and placed at a point on the NJC scale and it remains open for members to argue for regrading. 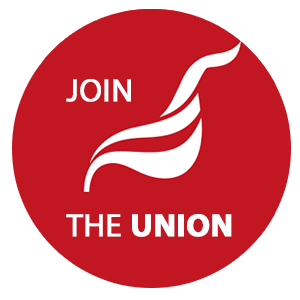 This year the unions lodged a 5% claim and at the time of writing Unite has recommended rejection the most recent offer from the employers. After a protracted and sometimes difficult process of negotiation over new pay scales with senior management, reps at Peter Bedford Housing Association have achieved an agreement on a new system aligned to the NJC system. The background to this is the attempt by management to introduce performance related pay in the organisation two years ago. The union strongly objected to this, and the issue went to ACAS. There, PBHA relented but due to range of issues, including a flood which closed PBHA offices at Kingsland Hub in the autumn of 2016, the issue was then parked. During this time, PBHA staff had gone without pay rises or incremental rises for seven years due to a serious financial situation. Although the crisis was in this case a real one, asking staff to forego pay rises for seven straight years is clearly unacceptable by every normal measure. Negotiations over a new system finally began early last year. The union's position was that alongside alignment with NJC there should also be a pay settlement for that year that gave a reasonable boost to people's pay. At the end, although there were compromises, we managed to secure a pay boost amount by around 4.5% in total – although this affected individual staff differently depending on where they sat on the new scales – and boosted the earning potential of around 60% of staff. The key point, however, remains the fact that PBHA is now on the NJC system and this will be written into the pay policy. Come the new financial year, there is now an expectation that staff will receive both the agreed cost of living rise negotiated nationally by NJC parties, and we will be working to ensure that this is implemented by PBHA senior management. From what I read, it seems to me a good wage increase at this time giving many other factors of industrial and political. Been part of a JNC can be positive in that it is bringing people together. I would also listen to the members and here what they have to say? Pat Atkinson-Unite LE Disability delegate-branch member.